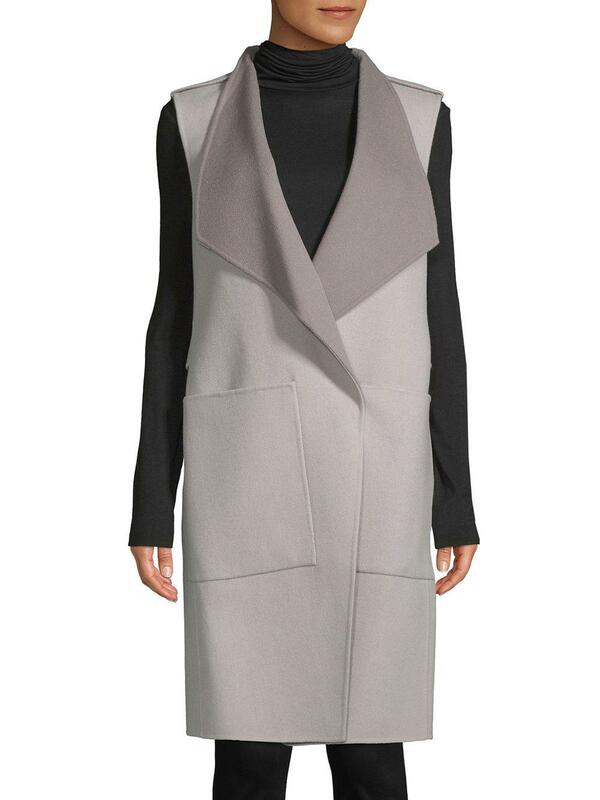 See more SOIA & KYO Long coats. We check over 450 stores daily and we last saw this product for $362 at Saks OFF 5TH. 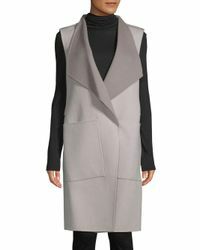 Wool-blend sleeveless coat with belt detail on back. Turndown collar. Sleeveless. Front patch pockets. About 39" from shoulder to hem. Wool/polyester/rayon autres fibres. Dry clean. Model shown is 5'10" (177cm) and wearing a US size Small.